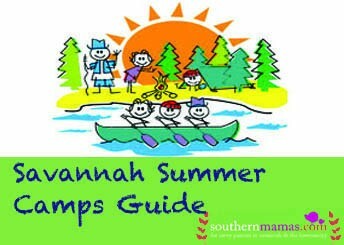 Crazy, crafty, COOL Camp @ Savannah Sharks. Organized games & free time each day. Fall tumbling schedule begins Mon. Aug. 7 @ Savannah Sharks. 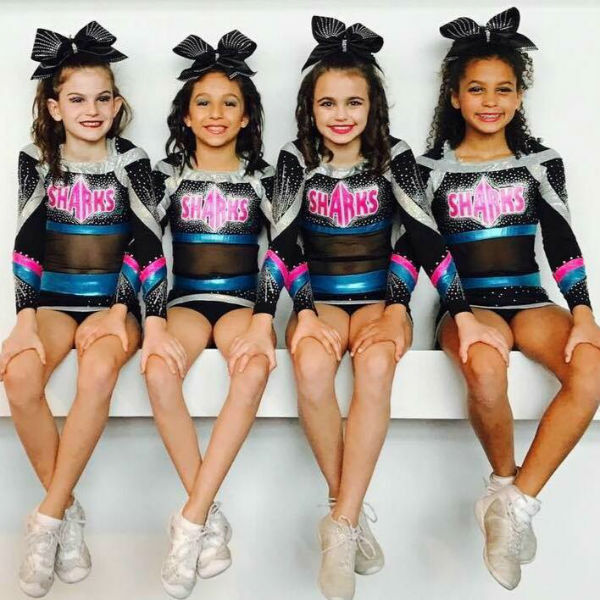 Savannah Sharks offers tumbling classes for ages 3 & older as well as a special class for homeschool athletes. Visit SavSharksCheer.com to register. Mommy & Me play dates begin Aug. 14. Every Monday, Tuesday & Friday 10:30AM-Noon. For crawlers to age 4. Learn more here. Stay connected by liking Savannah Sharks on Facebook here. 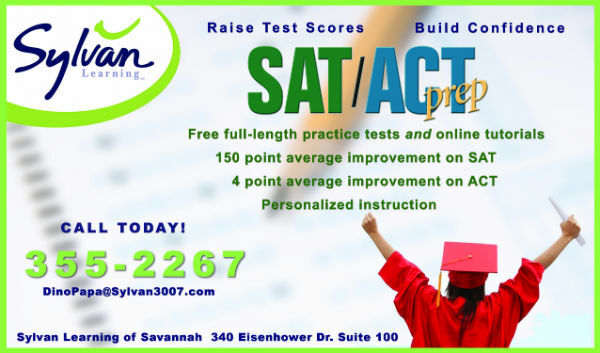 In contrast to most SAT prep programs, Sylvan uses a proven mix of small-group instruction, independent learning, online resources and SAT practice tests. This comprehensive approach ensures that kids not only learn strategies for tackling every type of exam question (including the essay portion of the SAT), but they also can focus on the specific skill areas they need to improve. From Sylvan’s high achievers to Sylvan’s kids who need an extra boost, teens of all test-taking abilities like going to Sylvan for SAT prep. Sylvan’s tutors motivate and inspire teenagers with a personal approach that takes the mystery out of college admission tests. Questions? Call Dino or Christina at 912.355.2267 or register on line here. 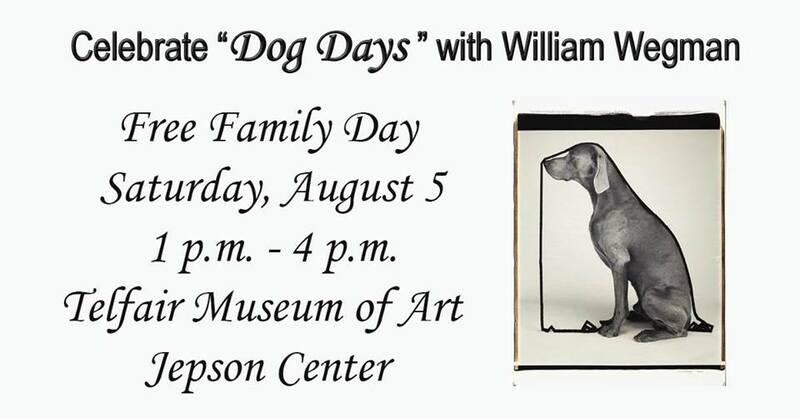 Say goodbye to the “dog days” of summer and kick off the start of the school year with a family day devoted to the art of William Wegman. Participate in gallery activities, make your own altered photos and postcards, and find out more about Savannah dogs available for adoption. Telfair Museums in Savannah offers regular free Family Days, daily drop-in studio & a monthly art start program. 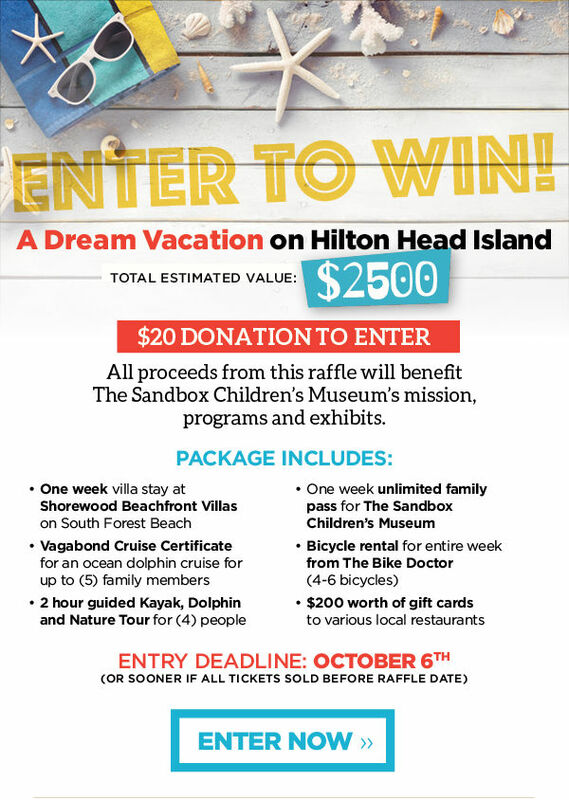 Sponsored by the City of Savannah’s Department of Cultural Affairs and the Georgia Power Foundation, Inc.
Here’s a way to support The Sandbox Children’s Museum on Hilton Head while getting a chance to win a Dream Hilton Head Island vacation. Valued at over $2,500, the win includes a week’s stay at a two-bedroom villa on South Forest Beach; Vagabond Cruise Certificate for up to five people; one week unlimited family pass to The Sandbox Children’s Museum; bicycle rental (4-6 bikes) for entire week from the Bike Doctor; two-hour guided kayak, dolphin or nature tour for four people from Outside Hilton Head; $200 worth of gift cards from various local restaurants. $20 per raffle ticket. No more than 500 will be sold. All proceeds benefit The Sandbox Children’s Museum on Hilton Head Is. Deadline to enter is Oct. 6 2017. 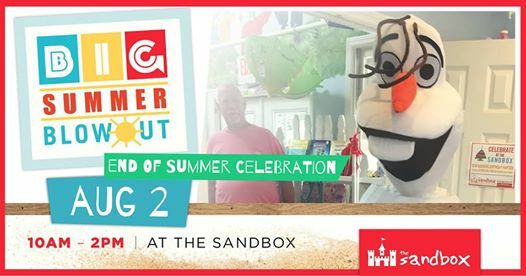 School is just around the corner so join The Sandbox Children’s Museum on Hilton Head Is. for an end of summer celebration, Tues. Aug. 2. 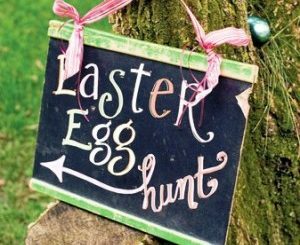 Special visitor “Olaf” will join be there for photo op between 11AM-1PM, outside activities (weather permitting) include bounce house, building blocks, facepainting by Morgan’s Mommy Facepainting People and more. Inside activities include all of the Sandbox Museums’ hands-on exhibits, special arts and crafts and a scavenger hunt. A light picnic lunch is also included so don’t miss out on the dog days of the summer at The Sandbox. First come, first serve. Space and activities limited in the event of rain. (Sorry, coupons not valid for special event). Edgewood Travel in Savannah invites you to discover some of the best beach vacations in the world @ free Sun & Fun Event @ Andaz Hotel. Food & drink will be offered plus there will be games & prizes! Some of Edgewood’s favorite travel partners will be there with great offers to Sun & Fun destinations including Club Med; Couples; Palace Resorts; Royal Caribbean Cruises; Marriott Resorts; Hyatt Resorts; Way to Go. This is an event you don’t want to miss. Please contact Melinda at mjw@edgewoodtravel.com or 912.3551.0570 to RSVP. Follow Edgewood Travel on Facebook here. By working with Edgewood Travel’s team of experts, you are guaranteed to get the most out of your vacation. Edgewood Travel team’s job is to make your vacation seamless & worry-free by offering personalized service so the only thing you have to do is make lasting memories. To make sure your trip is tailor-made, Edgewood adds special touches to each vacation Edgewood plans. So whether you’re looking for a trip to Disney, an ocean or river cruise, all-inclusive resorts, or an exotic journey such as an African safari, nothing is too big or too small for Edgewood Travel. 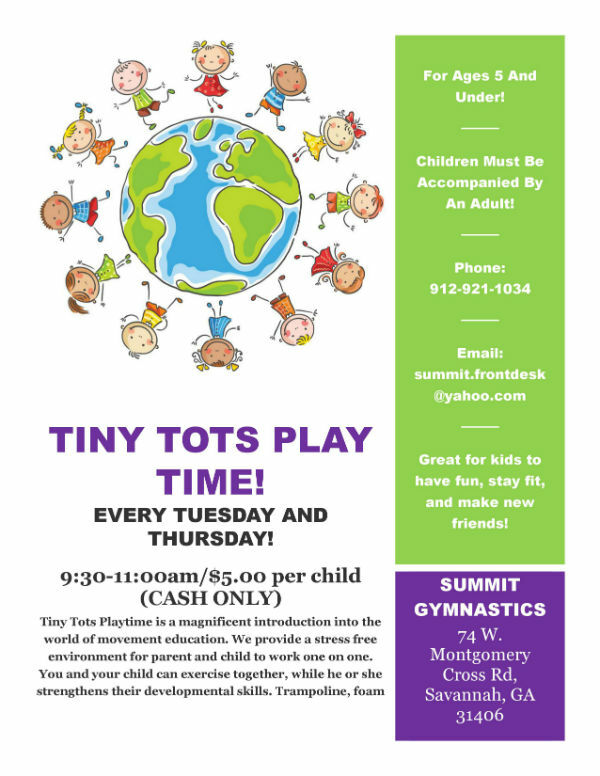 Summit Gymnastics in Savannah offers regular Tiny Tots Playtime for children ages 5 & younger and their caregivers. 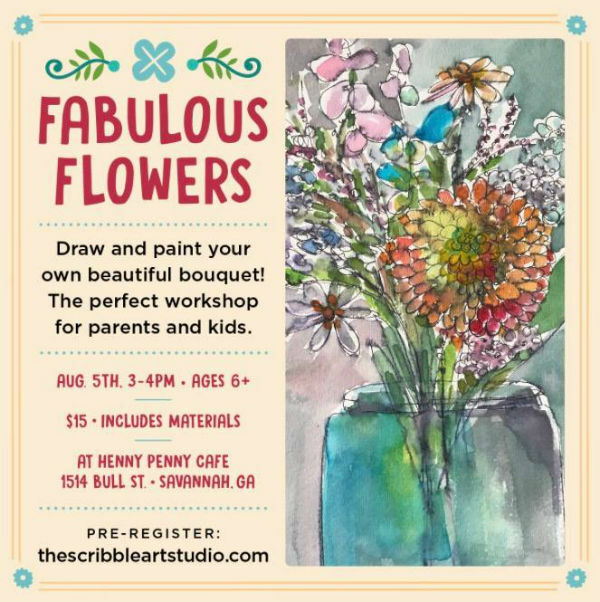 Sign yourself and your favorite little artist up for a flower painting workshop, Sat. Aug. 5, 3-4PM @ Henny Penny Art Space & Cafe in Savannah. For ages 6 & older. Cost: $15 – includes materials. 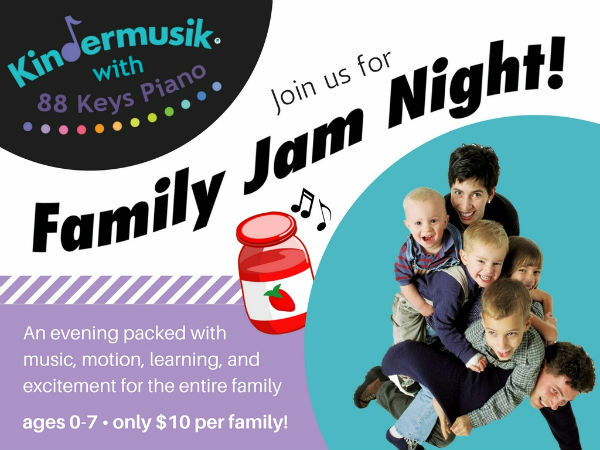 Welcome to Family Jam Night with Kindermusik Savannah. In this brand new event, Kindermusik Savannah is packing the music and magic of their weekly recurring classes into a one-time, energy-filled evening event for the whole family. Get ready to explore instrument playalongs, singing, dancing, lap bounces, movement, storytime, quiet time, and so much more in just 40 minutes of delightful family fun. Children ages 0-7 are invited! The most special part about Family Jam Night: it costs your entire family only $10, no matter how many children you have. Where else can you experience an educational, family-uniting musical activity for the whole family for just $10? Kindermusik can’t wait to make music with your family! It’s time for peace of mind. 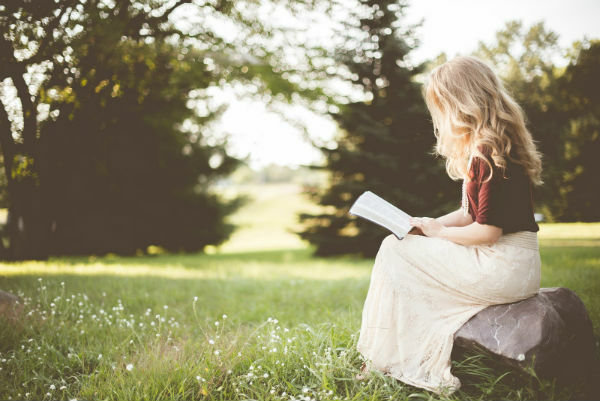 Brock Counseling in Savannah provides outpatient mental health services, offering both traditional and evidence-based alternative treatment options for a variety of psychological issues. 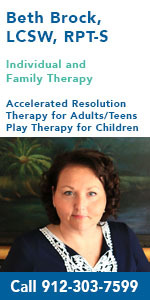 Beth Brock LCSW, RPT-S is Savannah’s only certified practitioner of Accelerated Resolution Therapy (ART). ART is used with such problems as trauma, phobias, addiction, anxiety, depression and stress. In addition to these specialized services, Beth also offers Play Therapy for children age 2 and older as well as an array of traditional therapy methods. Learn more about Brock Counseling here. 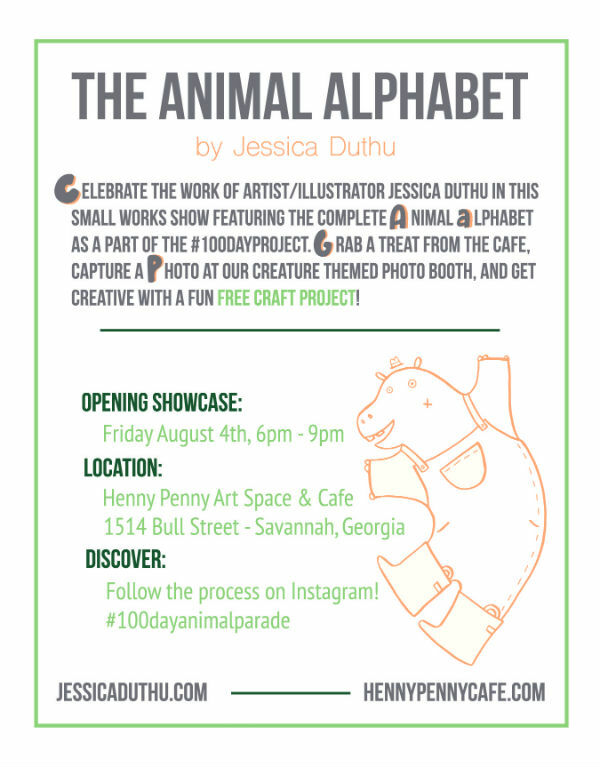 You’re invited to an “Animal Alphabet” art show @ Henny Penny Art Space & Cafe in Savannah, Aug. 4, 6-9PM. Come celebrate the artwork of Savannah artist Jessica Duthu. It’s a cute small works show. Jessica will have cards, prints & original artwork for sale. View the 26 Animal Alphabet Series; snap a photo at the themed Photo Booth and enjoy a FREE Craft Project. You can follow the artist’s process on Instagram #100dayanimalparade. We’re excited to tell you about a new state-of-the-art pediatric dentist practice, conveniently located in midtown Savannah. Dogwood Pediatric Dentistry of Savannah specializes in children. Board-certified pediatric dentist Dr. Krista Hinchey and her team are experts on the growing smile. Learn more about Dr. Krista here. Dogwood Pediatric Dentistry offers in-office oral sedation and accepts most insurance plans. Dr. Krista and the American Academy of Pediatric Dentistry recommend you bring your child in by his or her first birthday. 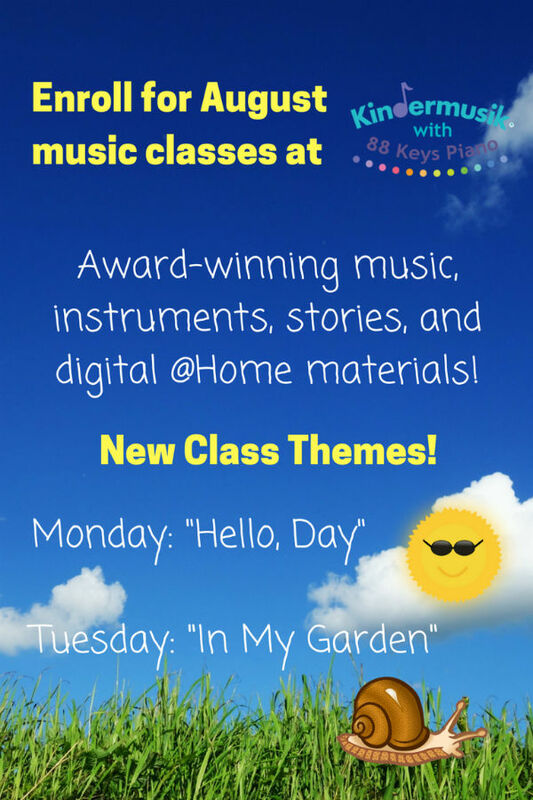 Kindermusik with 88 Keys in Savannah announces new themes for August classes. Join Kindermusik Savannah on Mondays or Tuesdays in August for special bonding time with your little ones ages 0-7. First introductory class is free! For more info, email info@kindermusikwith88keys.com or text “MUSIC” to 912-432-5885. Offering two FREE classes for children ages 0-7 with their caregivers: 10AM & 11AM Mon. July 31 2017. Spaces are limited so online enrollment is required. Visit kindermusikwith88keys.com for more info. 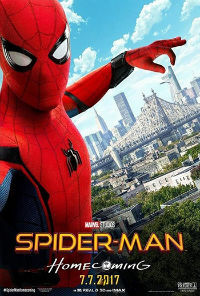 The perfect grand finale to Tybee Post Theater’s summer of Family Friendly Movies, the new Spider-Man: Homecoming. It’s a fun, tween-friendly adventure with one of Marvel’s most popular characters. The showing @ Tybee Post Theater is an exclusive two-day-only run. Wed.-Thurs, Aug. 2-3, 3PM & 7PM. Tickets $7 adults, $5 children 12 & younger. An above ground pool is a unique environment for children with disabilities to grow their confidence, develop a life skill, and improve their motor skills. As science and technology advance more rapidly than ever; doctors, educators, and parents are getting a better understanding of autism, learning disabilities, and educational programs which help facilitate a child’s path to learning. Parents are taking on more and more responsibility as joint educators, and they are contributing more than ever to their children’s learning process, a job once left almost exclusively to the school system. With the shift toward an educational partnership between the schools and a child’s guardians, many families are facilitating learning-based environments within their homes. A child does not need to fall on the autism spectrum to benefit from additional time and attention devoted solely to their intellectual development. All children benefit when they have parents and educators interested and dedicated to their success. Children can learn from so many other places than just a book. One great way to help stimulate an atmosphere for children to learn is to create a fun and exciting environment which will interest and excite the student. This task can be a challenge for parents since the child is so familiar with the home. Creating a stimulating environment is even more challenging for parents with autistic children who seek comfort in routine and familiarity. One developmental tool which is hardly discussed as an educational forum, but which can have tremendous benefits, is a pool. A swimming pool is an exciting environment for children of all ages and intellectual levels. In addition to being a refreshing, vacation-like getaway, a pool is also a place for children and adults alike, to build their confidence and be physically active. One of the most significant benefits to incorporating swimming pool activities into a child’s daily or weekly routine is that learning to swim is a life skill. For parents with children, regardless of whether or not they have a disability, a swimming pool is a unique, creative, and inspiring place to develop physically, emotionally, and intellectually. However, according to Parents magazine, “‘Teaching a child on the spectrum is an uphill battle if you don’t address the fears and behaviors,’ says Andrew Ross. “When it comes down to swimming, it’s kicking, breathing, and strokes—nothing more. But if a child is fearful, you need to get them to relax and trust you. 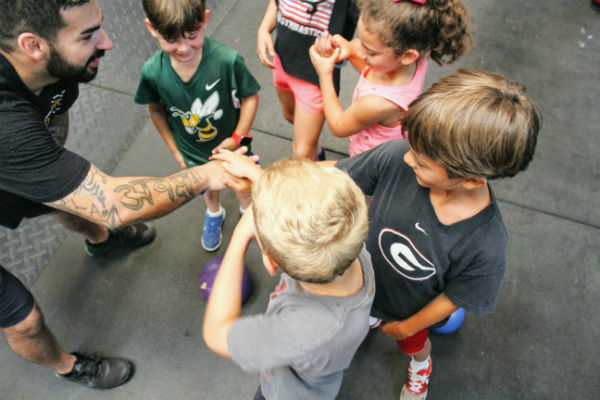 Group lessons often don’t provide this opportunity.’” If a parent has a child who could benefit from learning to swim or water therapy, the last thing they want to worry about is a crowded pool environment. A great option for parents is to install an above ground pool in their yard. An above ground pool is a beneficial option because it allows the child to be in a comfortable and quiet environment, their yard. Lessons with swim instructor or occupational therapist can take place at the family’s convenience, so it is easier to set a manageable routine for the child. For parents of children without autism, a pool is a stimulating place to have fun, be physically active and develop the skill of swimming, something they can rely on throughout their life. Rec Warehouse is the largest reseller of above ground pools in the Southeast. The President, David Doebler, has been in the business almost his entire life – he was the company’s first employee, and now he owns and manages three retail locations all staffed and merchandised to help homeowners find the perfect above ground pool for their backyard. Since David has such a wealth of swimming pool knowledge and is dedicated to sharing his insights with his employees, the staff is well-equipped to answer any questions you may have during your decision-making process. For those with questions, who are unable to go to a brick and mortar location, there is even a live chat option on the website. In addition to the sale of above ground swimming pools, Rec Warehouse also sells hot tubs, which are great supplements to water exercise and can be used by adults and children for water therapy and relaxation. They stock outdoor kitchens, misting fans, and patio furniture so parents can properly equip their entire backyard for entertaining and relaxing while their children learn the importance of swimming and proper breathing techniques. 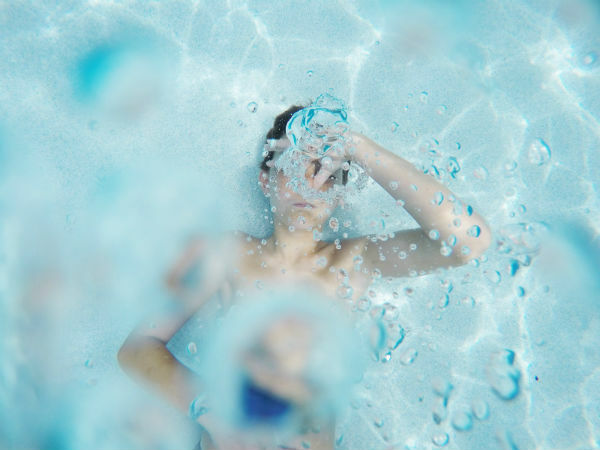 Parents who install an above ground pool in their yard help alleviate some of the anxiety children with developmental disabilities face when they go to a public swimming pool. 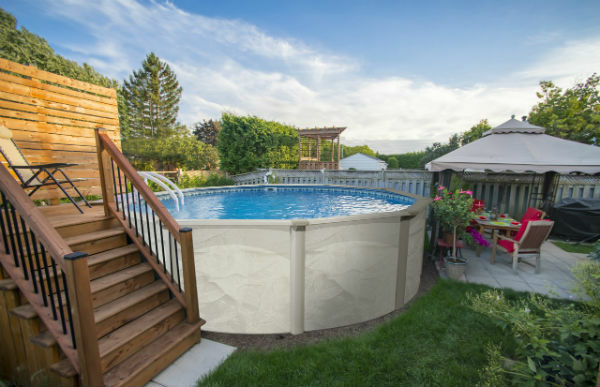 An at-home above ground pool allows parents, swim instructors, or therapists to teach children the fundamentals of swimming in a comfortable and familiar environment, their own backyard. Visit a Rec Warehouse location nearest you in Jonesboro, Norcross, or Kennesaw to learn more about transforming your yard into a water-filled learning environment. Pediatric Associates of Savannah, PC offers same day checkups. 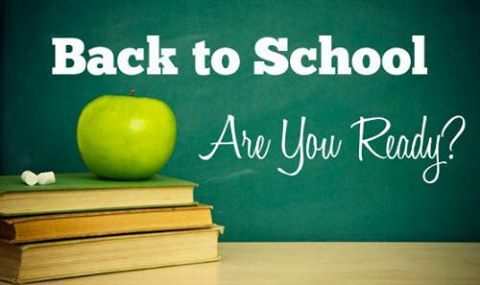 As the back to school panic hits this summer, for the next few weeks, Pediatric Associates of Savannah will be making extra availability for same day checkups for the back-to-schoolers. Those who need their EED forms, shots, and sports physicals ASAP? Come to YOUR pediatric practice. Pediatric Associates of Savannah has offices in Savannah, the Islands and Pooler. Learn more here. Stay connected with Pediatric Associates of Savannah & informed about children’s health news, but ‘liking’ Pediatric Associates of Savannah on Facebook here.